Last year’s third year class. In front from left: Epp Aruja (teacher), Julia Rannala, Susan Kahro. Behind from left: Ann Aaviku, Erin Kittask, Rutt Kajak, Shandra Kuuskne. Missing are: Mari Vihuri, Bronwen Harding, Erika Harding. 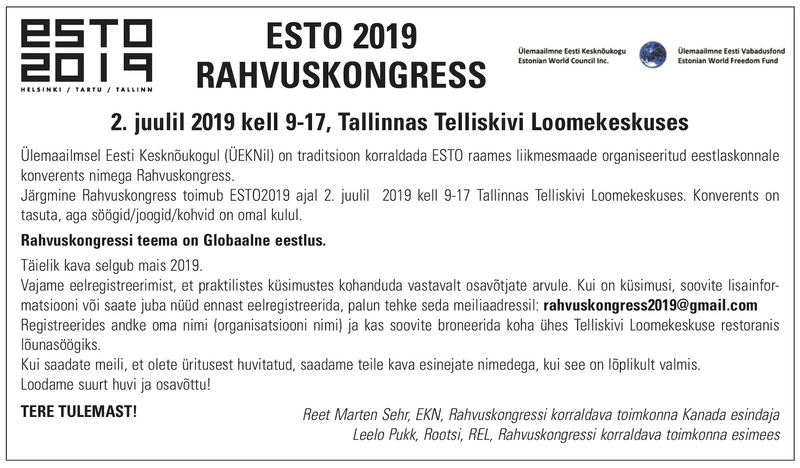 Starting Tuesday, September 11th, from 7-9:10 pm, beginner and second year classes for adults to learn Estonian will once again take place at the Toronto Estonian House. There will be 30 sessions on Tuesday evenings, continuing until mid-May. Cost is about $450 (to be confirmed in a couple of weeks). 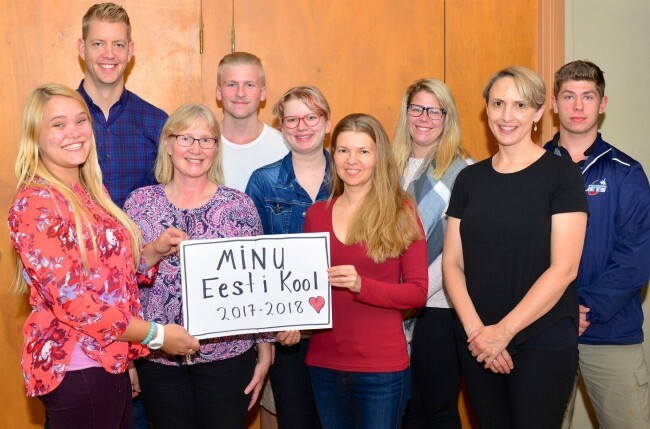 In the beginner’s class, we will cover conversation, slang, grammar, a little history and geography as well as discussions about life in Estonia. Classes are small and quickly evolve into a friendly network. Our textbook costs $35. We will also have a second year class where initially we will quickly go over the first year’s material and then continue with learning more grammar and increasing our vocabulary as we develop our conversational and writing skills. If you wish to come, please register with Epp Aruja, 416-447-8958 See e-posti aadress on spämmirobotite eest kaitstud. Selle nägemiseks peab su veebilehitsejas olema JavaSkript sisse lülitatud.. Note whether you are interested in the beginner or second year class. Come and have fun!